Dr. Ayyaz Shah is the founder, president & medical director of Global Dermatology Institute/Shah Dermatology, located in Orlando (Dr.Phillips area) Florida. He serves as a Medical Director of Ideal Image in Orlando. In addition, he is a Medical Director of Hair Loss Control Clinic (HLCC) and his Dermatology practice is an affiliate Laser center of Hair Loss Control Clinic. His practice revolves around the field of dermatology and offers an array of services to their patients ranging from medical to surgical to cosmetic, including Botulinum Toxin injections, dermal fillers, chemical peels, microdermabarasion, skin whitening, hair loss, vitiligo and laser treatments. 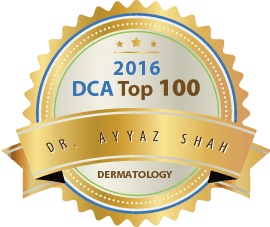 Being triple board certified by the American Board of Physician Specialties, the American Board of Laser Surgery, and the American Osteopathic Board of Family Medicine, Dr. Shah is a devoted doctor of distinction. When he is not serving his patients he is an advocate for education, being an Assistant Professor at the University of Central Florida; as well as Instructor for the Aesthetic Association of Florida, Global Dermatology Institute and Empire Medical Training. In the near future, Dr. Shah would like to have a charity clinic honoring his late father, Dr. Mahmood A. Shah. He obtained his Bachelor of Science in degree in chemistry from Lehman College in 1990. Upon completion, he attended New York College of Osteopathic Medicine and received his Doctor of Osteopathic Medicine. Furthering his training, Dr. Shah completed an internship at St. Barnabas Hospital, a family medicine residency at Massapequa General Hospital and Wyckoff Heights Medical Center, and completed his dermatology training at the Advanced Dermatology & Laser Center. 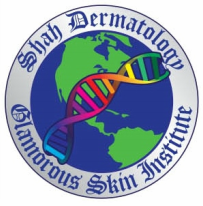 Dr. Shah is also being honored for his exceptional successes in the dermatology community. 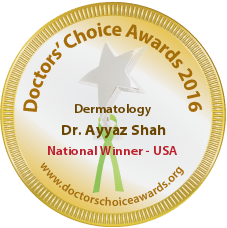 The Leading Physicians of the World and the International Association of Healthcare Professionals, IAHCP, are proud to announce that Ayyaz M. Shah, DO Nearly 15 years in practice, Dr. Shah has continued to demonstrate the passion, dedication, and enthusiasm for quality patient care necessary to be considered a Top Physician in his field. Shah Dermatology is proud to announce the addition of Dr. Shama Hussain to our practice. She brings with her over 15 years of medical experience to our practice. She received her professional training from Jinnah Sindh Medical University, Karachi Pakistan. Since then she taken a proactive approach in the treatment of her patients and is esteemed among her colleges and patients as a great physician. She has been in the Central Florida region for almost 25 years and is deeply involved in the local community. She has been married for over 22 years and her husband is a Professor at the Indiana State University in the Aviation Technology Department. She has a daughter in high school and a son in college. She is involved with her local mosque and members of the Central Florida community. Dr. Hussain states that she practices what she preaches: “The most important information is discovered by time spent carefully listening to patients—there is no substitute.” In an era where time pressure has minimized face to face time with the physician, I spend the time with the patients—and they greatly appreciate it. 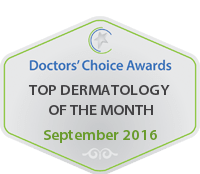 It is for this reason that her patients love her and why she is such a great professional and why Shah Dermatology is so happy to have her join our practice.